The Beauty Buff Blog: Are You Using Your Scrub Effectively? I'm always striving for ways to make my skin softer and more hydrated, especially in the winter when the air is so dry and my skin has mini freak outs on a daily basis if I'm not in direct contact with a moisturizer. I go through bottles of lotion and tubes of exfoliating scrub to assuage my dry skin. Little did I know, I've haven't been using my exfoliant to its full potential! 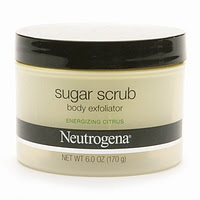 Scrubs and exfoliants are great because they slough off layers of dead, dry skin and reveal softer, fresher underneath. That's why it’s important to exfoliate (especially if you have oily pores-as they get clogged easily and need to be cleaned out to avoid breakouts) once a week. If you're like me you hop in the shower to exfoliate. 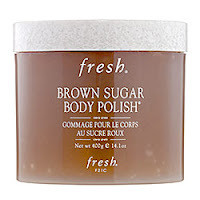 This is an issue if you use a sugar or salt scrub, as it actually makes the polishing process less effective. Water, in fact, dissolves these types of scrubs. To optimize effectiveness, rub your body with your polish of choice before you hop in the shower and then rinse, dry and lotion as usual. 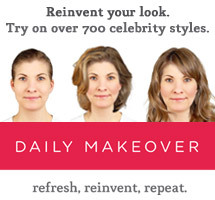 Your grainy solution will have time to actually work its magic and uncover your new glowing skin. To further ensure you're skin is baby smooth, pat yourself dry out of the shower and then lather on baby oil. It's cheap and a little goes a long way. If you have relatively oily or combination skin, it'll act as the perfect moisturizer. If your skin is extra dry it'll act as a great base and adhere to any lotion you add on and make your skin feel hydrated all day long. Tip: As much as you want to, don't take a steamy hot shower. The extra warm water dries out your skin. Sadness I know. Special thank to Bellasugar for the awesome tip!